Every year, just before Christmas, I comb through the house looking for presents hidden earlier in the year. I check inside old shoes, unfold towels in the closet, and peer way back into the dark recesses of seldomly-used cabinets. With a child in the house, you have to be tricky! The problem with this complex gift stashing behavior is that sometimes I forget where I hid the present when it’s time to wrap it! And once in awhile I forget that I bought something at all! Out of sight—out of mind! You wouldn’t make a very good magpie, I have been told. 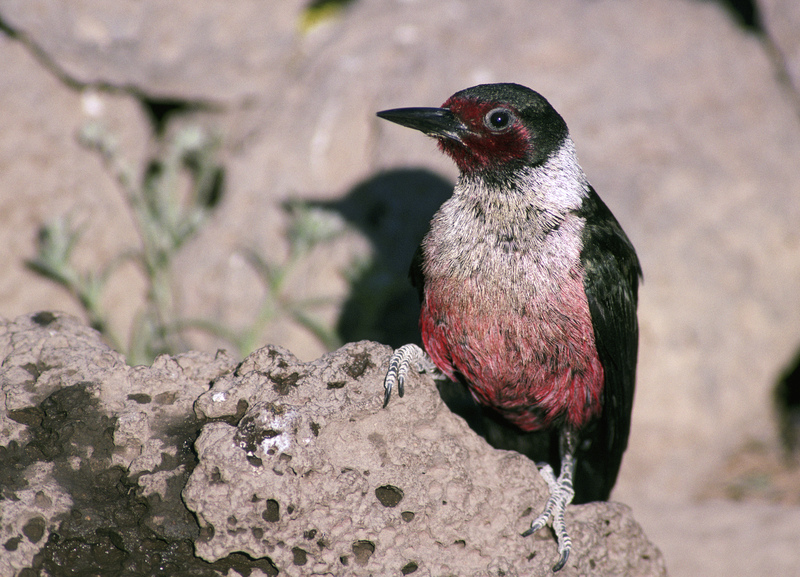 For magpies– along with jays, crows and ravens, are masters at hiding–or caching as it’s called– and then retrieving. Of course, what they cache is not Christmas presents but food. 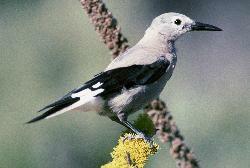 One Utah bird that is much admired for its caching and retrieving skills is Clark’s nutcracker . This large jay lives in mountainous areas throughout the west. 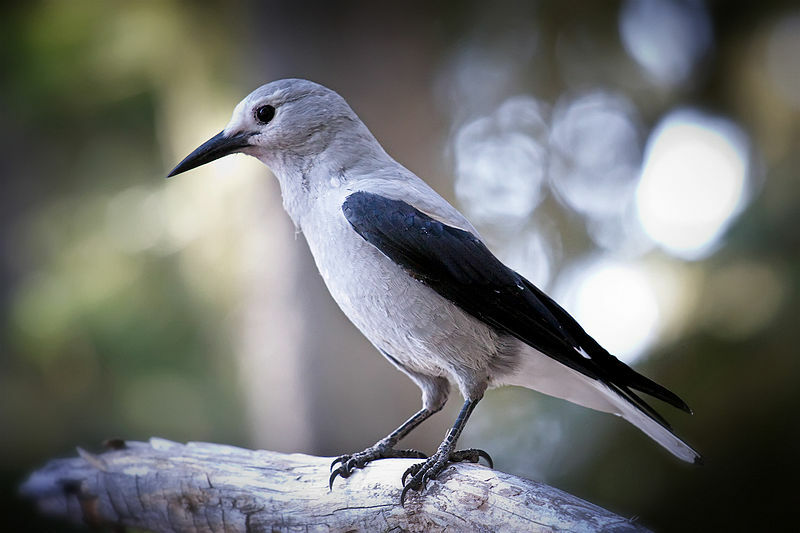 Experts say that Clark’s nutcracker can cache 10s of thousands of pinyon, whitebark or limber pine seeds in a single season. Starting in August, the bird will hide 1-15 seeds at a time, often distributing them several kilometers and at much different elevations from the original tree. Caches lie 1-3 centimeters deep in forest litter, bare soil, under bark, in holes, in logs or stumps. 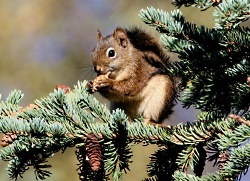 As winter wears on, the nutcracker will retrieve its caches with the help of visual landmarks such as rocks, trees or logs. 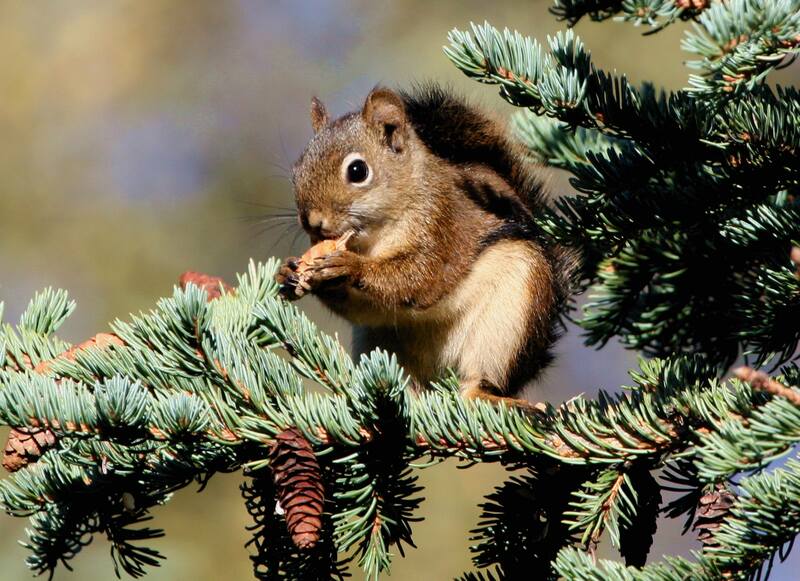 Using these visual cues, the nutcracker will retrieve the seeds through summer of the following year. Forgotten or abandoned seed caches often germinate, growing into trees that produce more food. Just as I worry about prying eyes when I hide Christmas presents, birds who cache must be careful to notice who is watching. The common raven is notorious for its spying and thieving behavior. 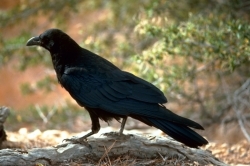 One raven will covertly observe while another caches scraps of meat, eggs, bones or seeds. The observer will then shamelessly raid the cache usually within a couple of days. But having probably raided someone else at some point, the caching raven is on the lookout too. If the caching raven senses the presence of a would-be looter, it might wait for the other bird to become preoccupied. Or it may move the food to a different site altogether. Caching ravens will also hide behind some structure to avoid being seen. Interestingly, these sly birds will even engage in fake caching. Ravens will cache inedible or low value food items in plain view of other ravens but then stash the good stuff in secret. Fake caching seems designed to throw looters off track, . But perhaps it’s also a character test for fellow ravens? Or maybe—for the intelligent raven—it’s all just an amusing shell game? Balda, R.P. & Kamil, A.C. 1989. A comparative study of cache recovery by three corvid species. Animal Behaviour 37: 486-495. Boarman, William I. and Bernd Heinrich. 1999. Common Raven (Corvus corax), The Birds of North America Online (A. Poole, Ed.). Ithaca: Cornell Lab of Ornithology; Retrieved from the Birds of North America Online: http://bna.birds.cornell.edu/bna/species/476 . Bugnyarf, Thomas and Kurt Kotrschal. 2001. Observational learning and the raiding of food caches in ravens,Corvus corax: is it ‘tactical’ deception? Animal Behavior, Volume 64, Issue 2, August 2002, Pages 185–195. Tomback, Diana F. 1998. Clark’s Nutcracker (Nucifraga columbiana), The Birds of North America Online (A. Poole, Ed.). Ithaca: Cornell Lab of Ornithology; Retrieved from the Birds of North America Online: http://bna.birds.cornell.edu/bna/species/331 .